Ipswich launches Pigs Gone Wild. The Pigs Gone Wild are on the streets of Ipswich from today. Here are my two contributions, Little Sown-Sow and Frankenswine before they were taken away to be varnished. 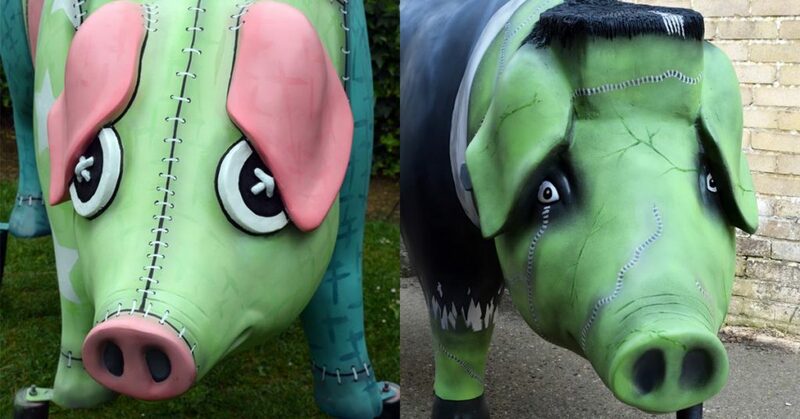 Visit them and their porky pals over the summer before they are auctioned to raise valuable funds for the St Elizabeth children’s hospice!